Buying from Hot Jet has really been great! On our first job, the jetter ran for 14 straight hours. The training helped show the guys how to use and offer jetting. Combined with the Total C, the Jetter has been running non-stop. Buying the HotJet 2 unit has been a major game changer in my plumbing business! It just lands me more and more jobs. I’ve run Spartan in the past – and this has more power and versatility. The HotJet has literally changed my business and my life with the additional income it produces!!! One of the best decisions I’ve ever made!!!! I studied drain line jetting equipment for nearly a year before I bought – and chose the HOT JET 3 due to it’s versatility…It’s loaded to clean from 2” to 24” lines with hot or cold water and it has the wash down capability which my customers love! Combining jetting with Total-C drain additive has knocked it out of the park!!!!! 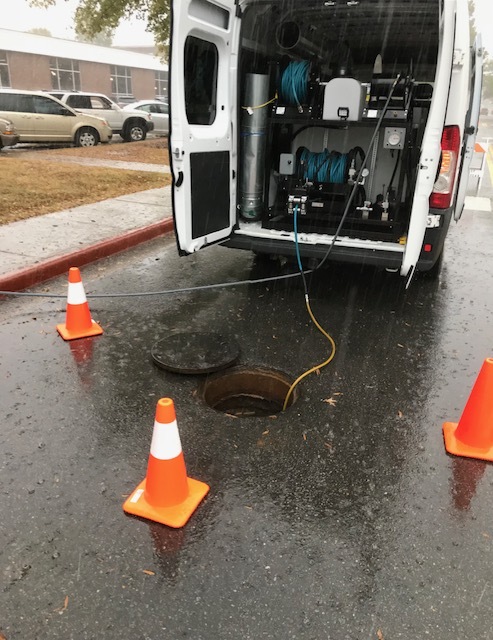 Drains stay cleaner longer and my customers are happy. Thanks for providing my company with a great money maker!!! 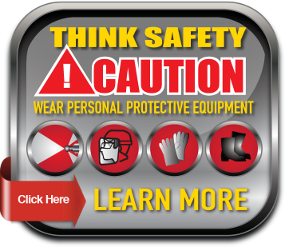 One thing I am truly thankful for is the relationship we have developed with your company. 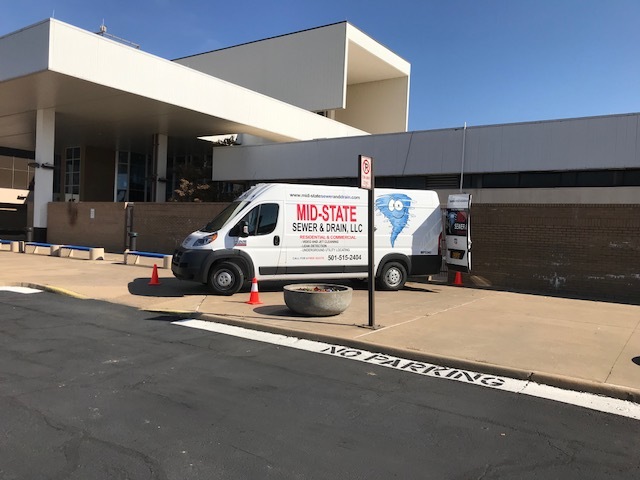 You have proven what a stellar organization you are with lightning fast repair parts for our Jetter. We are well on our way to getting our investment paid for and it is my hope we remain repeat customers for many years into the future. The Total-C Drain Treatment is just now starting to generate some meaningful revenue and I am going to really appreciate seeing that segment of the business grow. 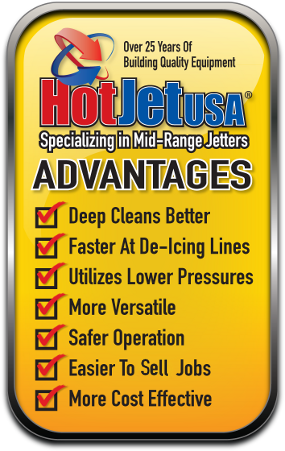 We chose a Hot Jet 2 for our first Jetter for our new jetting division. 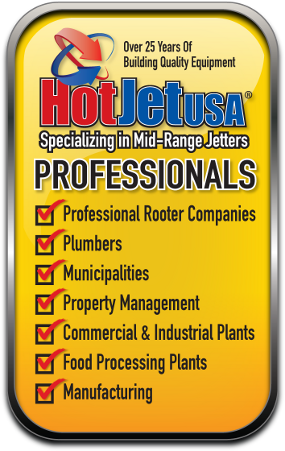 Our techs have run the “Standard jetters” –18GPM @ 4,000psi over the years but chose the Hot Jet unit due to its versatility. Our techs have fallen in love with the unit and our customers prefer it over the cold jetting. We grossed over $2,000.00 in their first week! 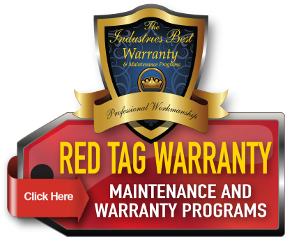 The HotJet 2 has changed my business model and changed my clientele base and substantially increased my income in a time of need…Have anyone call me anytime about the HotJet equipment… and how well it cleans the lines,, and makes my customers super happy!!! We have the HotJet 2 and absolutely love it! It’s been super! One Hell of a machine!!! I was looking to expand my plumbing services company & initially bought a small cold jetter and camera from Chester or “Chet” who encouraged me and said, “This is just the beginning Troy! And after only 90 days watching the revenue come in, I ordered the HotJet 3 trailer unit – fully loaded and came in to the jetter class! I plan to order my 4th – all within 1 year!!! I was amazed from the 1st phone call I made to HotJet! I spoke to a Super Nice young lady Elle on the phone for almost 4 hours! I’m very indecisive about my purchases and want to make sure I get what I paid for and I was Elle was very patient with me. She was not pushy at all! She was very professional and knowledgeable about all the products that HotJet offers! HotJet & Elle aren’t like most companies I talk to within the last year. I been looking to buy a Cold Jetter and every other company was very pushy and couldn’t answer Simple questions like PSI vs GPM or the difference between nozzles! Thanks to Elle spending the time with me and educating me on the Cold Jet skid to Cold Jet Trailer Unit to the HotJet ll. I am a younger business owner 34. I think because maybe my age most people thought I didn’t have the money, and treated me like another like I was wasting there time! So after about a year I decided to call HotJet and Elle offered me 2 airline tickets to fly me and another employee of mine from Chicago, IL to Salt Lake City, UT complementary by HotJet and a Nice hotel for the weekend! I was very surprised, Elle said come out to visit us and check out our shop where all the magic happens and to meet the HotJet family! I don’t even know where to begin with all the breakfast, lunch, dinners and all the in between food! I think I gained 10lbs when I was there. The whole HotJet family Elle, Mike, Chester, Donna, and Mo was so welcoming to us the 1st day we meet him I would of never guessed he was the Owner because of how he was so down to earth with us if someone didn’t call him boss I would of never of guessed until all the Meals he treated us to! For just spending the weekend there with them it feels like Ive known them for ever! The last day me and my employee we were there he offered to take us up in the Mountains to spend the day just because he over heard us talking about the beautiful mountains and never being out west, and took us to some amazing places and even showed us where the US Olympics were held! Overall it was a very nice business trip/vacation! I bought a Hotjet ll Hot Water Jetter and Love it! I’m very happy with my purchase I’m very happy I went with the HotJet ll instead of buying a cold water unit and then end up buying a HotJet 6 months down the road. I have to say HotJet and got the best Jetter that is out on the market especially the customer service! Shipping time was incredible by the time we arrived back to Chicago we were jetting by Thursday of that week with our new unit! I would like to say if you are in the market for a Jetter or even thinking about it give them a call! Thank you to Mo, Elle, Chester, Mike and Donna! We will talk to you soon! These guys are the absolute best I bought an amazing power washer and their customer service is even better. I’m new to this business but they make sure I fully understand everything every time I call. Thanks for all your help!!!! Great helpful staff. Lori was just the best. We will be returning customers.